Tim has 10 years’ experience in the public practice accounting and takes an analytical, strategic and methodical approach to what he does. Tim works across a broad range of areas, with experience in the medical sector, property development, primary production, manufacturing, professional services and high wealth individuals. 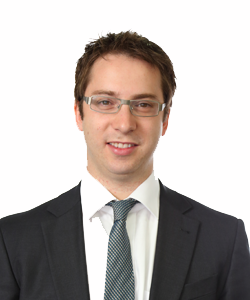 He has specialist technical knowledge in taxation law, addressing complex taxation matters such as capital gains tax and small business concessions. Tim is committed to providing an outstanding level of service, which he does by visiting clients, getting a feel for their business and by putting himself in the shoes of his clients in order to understand what they really need. Away from the office Tim enjoys spending time with his family and enjoys playing and spectating all sports including basketball, soccer and football.